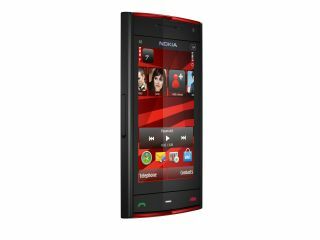 Nokia has announced that its latest flagship music device, the Nokia X6, will arrive in the UK this week. Backed by the company's all-you-can-eat service, the phone packs 6GB of memory out the box (32GB internal, 4GB on a microSD card), which should make it a prime target for music lovers everywhere. The Nokia X6 features a 3.2-inch reactive interface with capacitive 16:9 touchscreen. This is a first for Nokia. Also on-board is a 5-megapixel camera, with Carl Zeiss lens and dual LED flash, and full access to the Ovi Applications Store. The Nokia X6 will be available exclusively through Phones4U from Friday 27 November, and will be free from £35 a month, or free from £25 a month when you trade in an N-Series handset on the Orange network. Or, if you fancy splashing the cash, you can pre-order from www.shop.nokia.co.uk at £449 SIM-free. If you want to know more about the handset, the point your browser to TechRadar's Nokia X6 hands-on review.